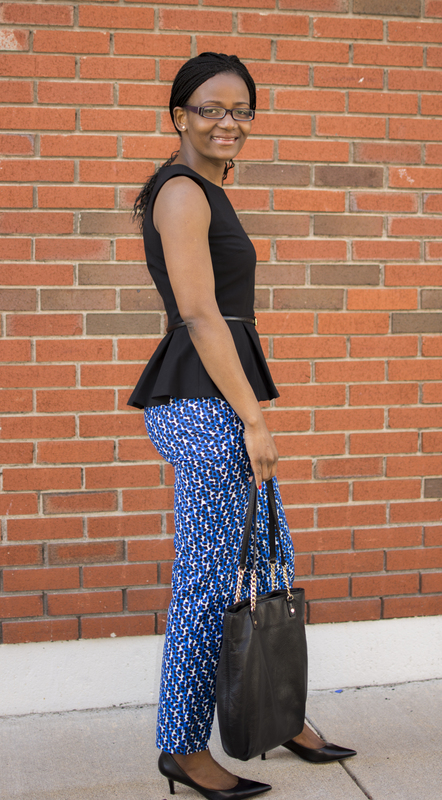 Recently, I have added a couple of printed pants and peplum tops to my closet. 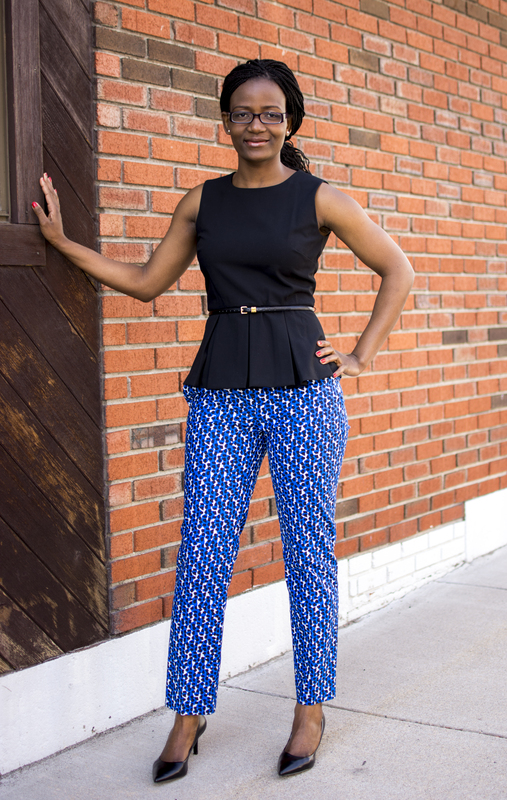 When I tried my first pair of printed pants a couple of months ago, I felt overwhelmed by the bold prints, so I went with this pair; it has small geometric patterns in subdued shades of green/blue and black. 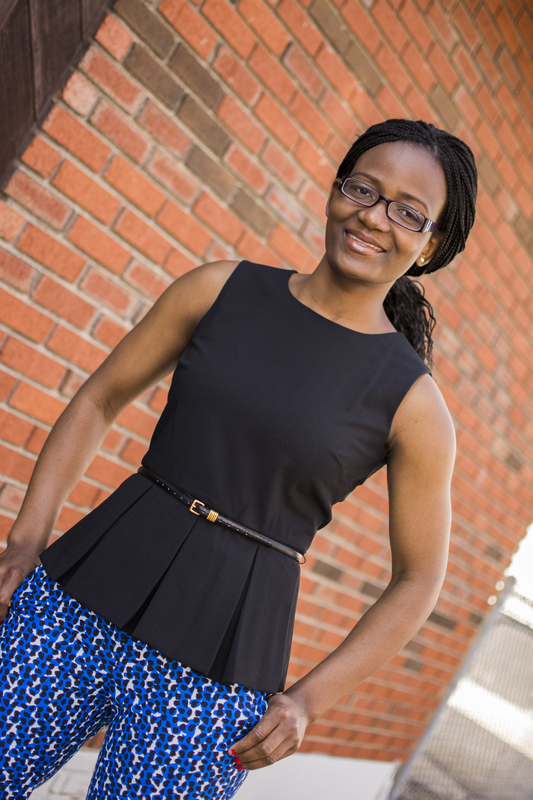 However, when I saw the bolder & brighter springy prints on the Ann Taylor clearance rack a week ago, I instantly fell in love, so I went an extra mile. 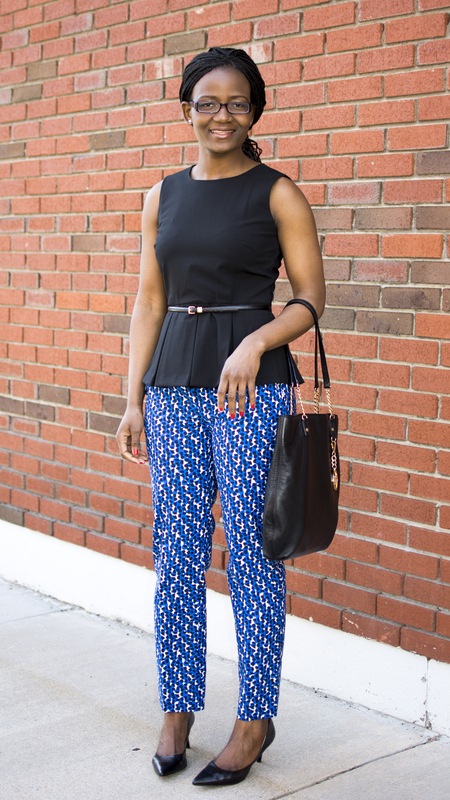 If you are hesitating getting these trendy pants, I recommend starting with small prints in dark colors, it only took me a few wears to acquire a taste for this style. Nothing like a great print to get you in the mood for spring. Great deal on the pants too! 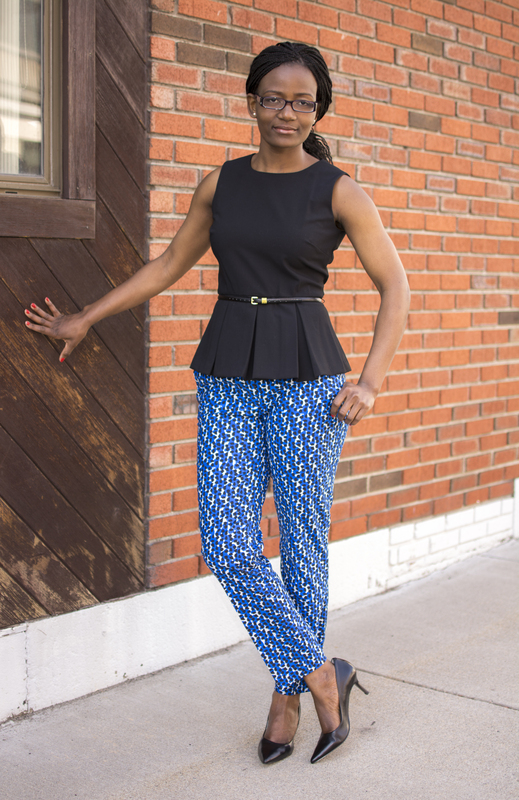 Adorable – love the print of the pants and the peplum is perfect!